The 2014 ugly duckling would have matured into this swan. 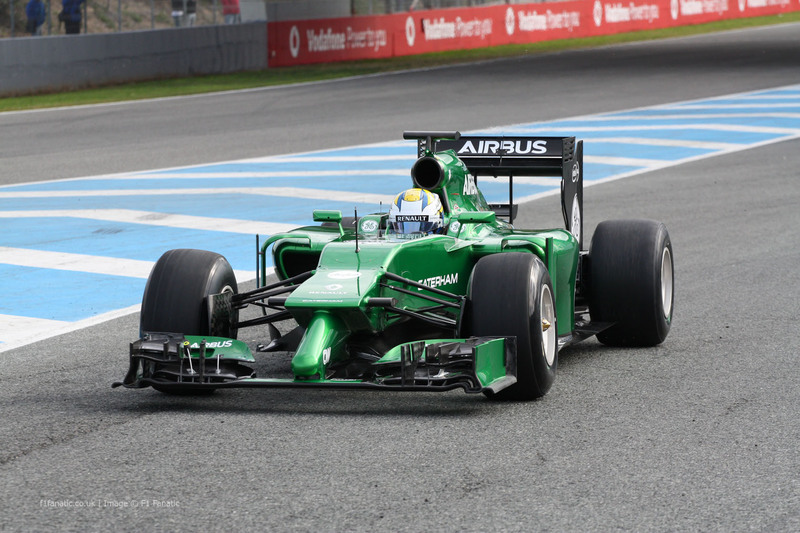 After a mere five years of competition, Caterham F1 Team joined the dozens-strong ranks of defunct Formula One teams. The team started life in 2010 under the marque of Team Lotus, unrelated to the long-gone team founded by Colin Chapman, before swapping out its name for the Caterham label under which it would die. In its final year, 2014, the team came close to a points finish at the attrition-struck Monaco Grand Prix, but an aggressive overtake by the late Jules Bianchi knocked Kamui Kobayashi out of the points, a place the Caterham team would never find itself in contention for again, as funding woes saw the team missing the American and Brazilian Grands Prix. Though they would have liked to compete in 2015, the FIA struck the team's entry from the books, and by March of 2015, the team's assets were on the auction block. In spite of the problems looming for the team in 2014, development on the team's 2015 car, christened the CT06, continued until the team's staff were made redundant, and a scale wind tunnel model was photographed in action during August of 2014. Unfortunately, the model itself has since disappeared. The photo comes courtesy of one Kevin Thomas, the guy who made headlines last year because of his intent to rebuild the team's 2014 car, the CT05, for the sake of putting it back in action. Kevin Thomas shared the photos with F1technical.net earlier this year, and included a number of technical drawings, for those interested in such intricacies. The CT06 itself is a league beyond the aerodynamically simple CT05, featuring a more complex front wing and narrower side pods like many of its would-be contemporaries, as opposed to the primitive shapes used for the CT05. The CT05, among other of the 2014 Formula One cars, was criticized by Top Gear UK'spresenters for having a phallic front end, which they called "Formula Strap-One." This problem was not rectified by the car's updated nose structure in late 2014. The CT06, though? 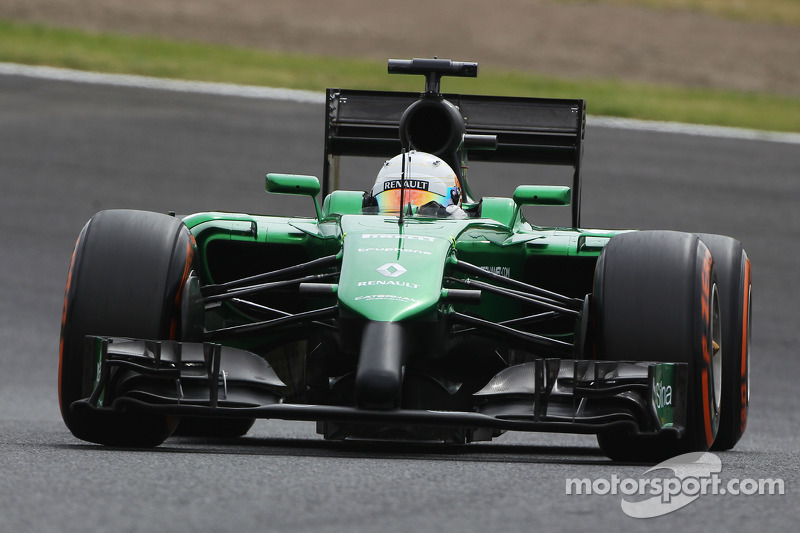 It looks an absolute peach, and not just in comparison to the shocking 2014 car, but overall. It's too bad we will never know if it would have been competitive, or just a companion for the Saubers and Manor-Marussias. Is there a stranger grand prix engine than this?